leading role of Viaggio a Reims, the Corinna in the Luca Ronconi-production under the baton of Ottavio Dantone. 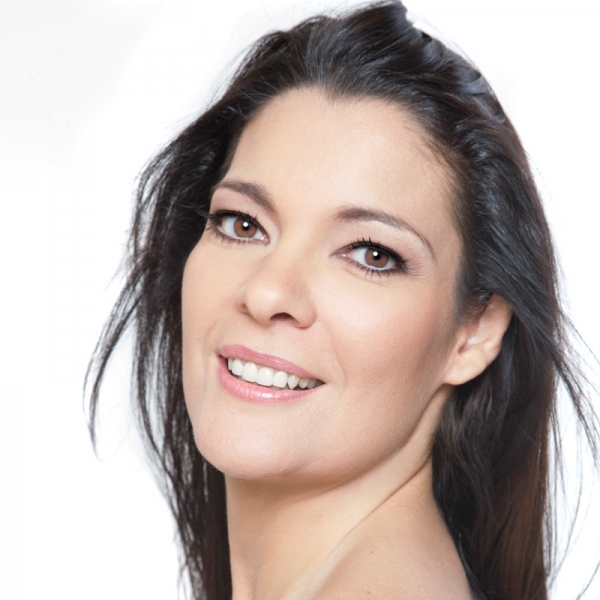 After her studies and several awards at International Singing Competitions she debuted in 2000 at the Gran Teatro del Liceu as Barbarina in Le nozze di Figaro. Since then she sang there every season: Falke/Die Frau ohne Schatten , Dulcinea/Don Quijote en Barcelona, Glasha/Katia Kabanovà, Papagena/Die Zauberflöte, Ines/La favorite, Corinna/Il viaggio a Reims, Clorinda/ Cenerentola, Poussette/Manon, First Rhinedaughter and Wald-vogel/Ring des Nibelungen, amongst others. Furthermore she won the Award of Critics as “young singer of the year” at the Gran Teatro del Liceu singing the Gianetta/Elisir d’amore, a role with which she also debuted at the International Opera Festival in Savonnlinna. Other roles of her repertoire (performed in spain) are: Fiordiligi/Cosi fan tutte (Sabadell), Amore/Orfeo and Euridice, (Festival de A Coruña), Mimi/ La Bohème, (Málaga), Dorothea/Don Chisciotte de M. García (Maestranza, Sevilla), Arbate/Mitridate, (Festival Granada), Donna Menica/Il tutore burlato, by Martín y Soler, (Teatro Real/Madrid), Najade/Ariadne auf Naxos (ABAO/Bilbao) and Hanna Glawary/Die Lustige Witwe, (Gran Canaria). In Italy she sang la Comtessa/le nozze di Figaro in Cento/Ferrara, later at the Venice Biennale the Clarice/il mondo della luna and the Corinna/Il Viaggio a Reims at the Rossini Festival in Pesaro, in Jesi and in Treviso. Other leading parts were the Adina/Elisir d’amore and the Violetta/La Traviata, which she sang in Donezk/Ucraine. Since her debut in 1998 Cristina Obregón worked with the following conductors: R. Bonynge, S. Cambreling, J. L. López Cobos, B. de Billy, P. Schneider, J. Pons, D. Callegari , H. Christophers, V. Pablo Pérez, S. A. Reck amongst others. Furthermore she sings regurlarly in concerts and recitals in Spain and abroad.